My Feelings Aren't in Charge | GetAlongWithGod.comGetAlongWithGod | A blog about discovering a God worth knowing. Be angry and do not sin. Don’t let the sun go down on your anger, and don’t give the Devil an opportunity. It figures that after I have a simple and lovely revelation of the power of the loving-kindness of Jesus Christ, the very next day I was a meltdown on legs. In the morning I was smiling but by the afternoon I was snarling. I was a grumpy mess! I don’t even have a clear revelation to share with you about why it happened, just a story about catching the life preserver God threw me. It was a slow burn from Peaceville to Grumpy Town, so slow that I’m not even sure what happened. Somewhere I got unsettled. Somehow I was pushed out of my comfort zone. 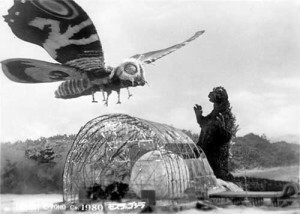 And that’s really all it took to begin the downward spiral into Godzilla vs. Mothra territory. Once there, I just couldn’t seem to get out of it! I was churning and trying and praying and…nothing happened. Still grumpy. Still undone. And that’s when God threw me a life preserver: NONE OF THIS IS REAL. Grumpy Town only felt like reality. But it wasn’t actually real! My feelings are a barometer for what’s being churned up in my heart, but they aren’t the last word on my situation. 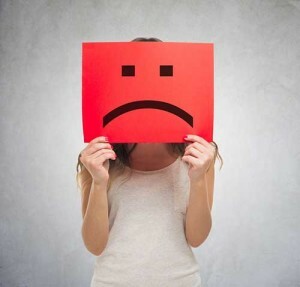 Feelings can be – and often should be – overthrown. My will has the last word, not my feelings. And I thank God that this is so! What a ridiculous mess I would be if I had no choice but to follow my feelings wherever they led me. Shudder! Since I didn’t have a clear word on what was being stirred up, I didn’t have to stay there. The Holy Spirit is very specific with me, so until He confronts me with an issue, I keep moving as He leads. I’ve spent way too much time camping out in Grumpy Town and Despair Junction and Mad Hatter Village, believing that my feelings were the last word. I’ve spent way too much time sitting in a stew of emotion until clarity came calling. And I don’t have to do that. The Lord threw me a life preserver and I took it. My feelings didn’t immediately leave me, but they did immediately fade and eventually they were gone. I don’t know any more now about what was behind my mood shift than I did then, and it really doesn’t matter. I’ll know when He tells me. And until then, I am not captive to the drama. I don’t deny it, but I don’t deify it either. This was a very timely topic, Jennifer. Thank you! Does that mean to have your feelings, don’t lie to yourself? Well, Jennifer, I didn’t know about Godzilla vs. Mothra territory so I clicked on it. Not sure I know now but i definitely know about Grumpy Town……love this post and the Holy Spirit’s wisdom you have shared. What freedom not to be captive to the drama.